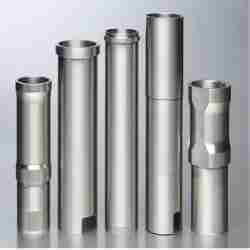 Offering you a complete choice of products which include cylinder liners. We are a reputed name in the manufacturing of a wide gamut of centrifugally casted cylinder liners. These cylinder liners are made available in an assorted range that is suitable for varied heavy, medium and light applications. Our diligent team and state of art infrastructure have helped us in achieving our goals and acted as the biggest strengths and thereby helping us in creating a name for ourselves in the market. We have a dedicated group of quality control professionals who conducts a quality control check on every stage of production. It is their efforts and dedication that has helped us in providing high quality products and an impeccable aesthetic appearance. Looking for Automobile Industry ?